Much like the DPF Removal service on the Vauxhall Zafira and Vauxhall Combo, we offer the same DPF removal service for the Vauxhall Vectra. They share the same DPF system and so the same weaknesses. If you own a modern diesel Vauxhall then you may be aware of the problems experienced by 100’s of motorists nationwide. 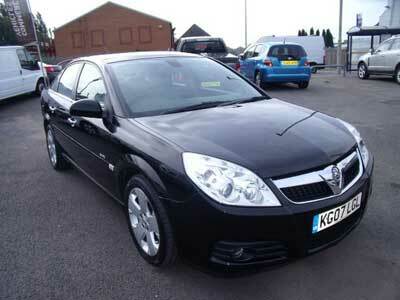 Having DPF Problems With Your Vauxhall Vectra? The majority of our customers who come to us with blocked DPF problems on the Vauxhall Vectra tell us that they are using the vehicle for local commuting and taxi driving in built up areas – mainly in and around London/M25. The Diesel Particulate Filter (DPF) requires very high temperatures for prolonged periods of time in order to self-clean via a process called DPF Regeneration. If you are using the vehicle for regular local commuting and stop/start traffic driving and short journeys then the DPF system will not reach the optimum temperatures for long enough periods and so will fail to self-clean and fail to perform successful DPF Regenerations. – This is why the DPF gets blocked up. To avoid expensive problems, it is highly recommended that if you experience any DPF related problems, you should have the faults diagnosed and rectified immediately. My Vauxhall Vectra DPF Is Blocked – What Are My Options? If your Vauhall Vectra DPF is blocked up, then you have two options – either replace the filter with a new genuine part or have it professionally removed. We do not recommend having the DPF forcefully regenerated because carrying out forced regenerations does put excess strain on the injectors having to squirt diesel at high pressure for prolonged periods of time to reach optimal temperatures in order to aid a successful DPF Regeneration – even if it is successful, it is almost guaranteed that the problem will persist or at least come back in the future. A new genuine filter replacement can be very costly, a typical DPF filter replacement can cost as much as £1500 +VAT (+Labour).It would only be recommended to regenerate the DPF forcefully by taking to your local dealership if you’re planning to sell the vehicle to someone with a more suited driving style or change your own driving style – otherwise it really will be a waste of time and money. 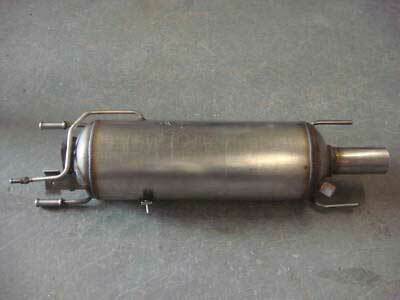 How Do You Remove My Vauxhall Vectra DPF? In such cases, we will modify the data strings to remove the DPF settings whilst leaving the other sensors and systems in tact and fully functional. The difference here is that many other companies are using automated softwares which will accidentally delete these data strings and this is where problems occur in the future. Tags : Help With Vauxhall Vectra 1.9CDTi DPF Problems, How To Remove Vauxhall Vectra 1.9CDTi DPF, P2002 DPF Failure - Best Solution From Sinspeed, P2002 Fault Code Solution For Vauxhall By sinspeed, Removing Vauxhall DPF, Removing Vauxhall Vectra 1.9CDTi DPF, Replacement DPF For Vauxhall Vectra 1.9CDTi, Vauxhall DPF, Vauxhall DPF Problems, Vauxhall DPF Removals, Vauxhall DPF Repairs, Vauxhall DPF's, Vauxhall Vectra 1.9CDTi De-DPF, Vauxhall Vectra 1.9CDTi DPF Failure Help, Vauxhall Vectra 1.9CDTi DPF Fix, Vauxhall Vectra 1.9CDTi DPF Fixed, Vauxhall Vectra 1.9CDTi DPF Help, Vauxhall Vectra 1.9CDTi DPF Off, Vauxhall Vectra 1.9CDTi DPF Problems, Vauxhall Vectra 1.9CDTi DPF Regen, Vauxhall Vectra 1.9CDTi DPF Regeneration, Vauxhall Vectra 1.9CDTi DPF Removal Mot, Vauxhall Vectra 1.9CDTi DPF Removal Procedure, Vauxhall Vectra 1.9CDTi DPF Removal Remap, Vauxhall Vectra 1.9CDTi DPF Removal Session, Vauxhall Vectra 1.9CDTi DPF Removal Solution, Vauxhall Vectra 1.9CDTi DPF Solution, Vauxhall Vectra 1.9CDTi DPF Solutions, Vauxhall Vectra 1.9CDTi P2002 Fault Code Fixed By Sinspeed. We’ve sent you an email, please respond to that with your postal code for a customised quotation.